Slick Write is a free tool that helps you analyze your writing or that of others. To use Slick Write you can write new text in the provided text editor or copy and paste chunks of existing text into Slick Write's text editor. 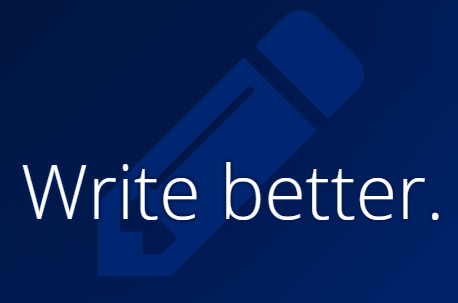 Either way Slick Write will provide you with an analysis of your writing. That analysis will include typical things like a word count, a readability score, and an estimated reading time for your document. Slick Write will also analyze your use of adverbs and prepositional phrases throughout your document. You can customize Slick Write's analysis settings by choosing what you would like Slick Write analyze in your document. For example, you can choose to have Slick Write identify clichés in your document. There is also an option in Slick Write's settings to have it analyze your use of conjunctions and contractions. 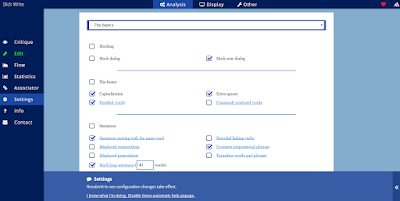 There is a total of thirty analysis options that you can enable or disable in Slick Write. Slick Write, like similar tools, can help students proof their own work before sharing it with a classmate for peer review.